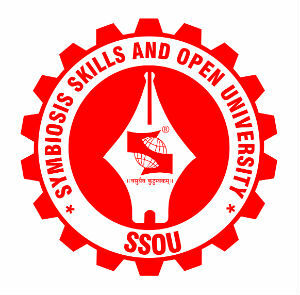 SSU Entrance Test is an online exam for admissions to graduation courses offered by Symbiosis Skills Universities which include Symbiosis Skills and Open University (SSOU), Pune & Symbiosis University of Applied Sciences (SUAS), Indore. Through this test, SSU offers graduation ‘degrees with skills’ in B.Tech., BBA, B.Arch. and B.Sc. The exam will be held in all major cities in India. Registrations for the Entrance Test are open and the students can now register for the test online. They can choose their preferred city, date and time for taking the test. Please refer to the important dates section for deadlines relating to SSU Entrance Test. Register yourself on www.ssuentrance.org under Register Now by creating a New User for which the following details would need to be entered Name, Contact nos., Email id, Caste category, Nationality, Program, Preference, Location and HSC details. System generated password will be emailed and SMS to the details provided. Login with the login credentials which are the email id and password created in Step 1 above. Pay the SSU Entrance test fee as per the below Student Category and book the Entrance test slot online after completing the Payment successfully. Application form can be filled online once Entrance test slot is booked. Pay the Application form fee as per the below Student Category and fill the Application Form online after completing the Payment successfully. The Application Form consists of the following sections Student Personal Information, Parents / Educational / Academic Details. Kindly ensure that all the information is available with you, when you start filling up the Application Form. Fill all the details in the online Application form. Kindly make sure that all the mandatory fields are populated with correct latest information available with you. Please make sure you attach the soft copies of all the documents requested and submit the Application Form online. Click on the Submit button to submit the completed Application Form online. Download a copy of the same, and carry a print of the same for submission at the time of Counselling. In case you encounter any problems or have any queries during the Online Application process, you can mail us at admissions@ssuentrance.org. Students are advised to check eligibility criteria for the admission to the program before applying as the admission to the program is subject to fulfilment of the specific eligibility criteria. Students appearing in HSC shall also register for the SSU Entrance test. It is the responsibility of the student to ascertain whether they possess the requisite qualifications for admission. Having been completed the application and paid the Entrance test fee / Application fee does not mean acceptance of eligibility. Final eligibility for admission will be decided by Symbiosis Skills University after submission of all the required documents. Students can register for more than one program with separate email Ids. The reservation policy shall be as prescribed by state government from time to time. Once you register for the entrance test, you can choose to book your entrance test slot at a convenient location and time. SSU Entrance Test offers students, flexibility of test centers with a choice of more than 70 locations pan-India. You may access the admit card from your account once you book the slot and appear for the test at a pre-selected time and location. You must carry the admit card with you, along with government identification like Aadhar Card, PAN Card, Passport or Voter Card. Once at the center, you will have to present one of the identifications as above and the admit card for the entry. SSU Entrance Test is conducted in an extremely secure and tamper-proof computer based exam system. SSU will declare the results on a pre-announced date. You will also get to access your result through your login. The date of results declaration will be communicated to all students well in advance. Merit lists for both the universities under SSU will be announced based on the results in the SSU Entrance Test. Lists will be also published on the SSU website as well as the university websites. Based on the merit list and schedule of counselling or Group Discussion and Personal Interview, you will need to plan to visit the respective university – after you apply for a specific program (as explained in the next step). You will have to fill up the application form with your entrance test marks for the program and your university of choice. Based on the merit list rank, the date to visit the respective university for the next steps, will be communicated to you. Once the entire procedure is completed at the university, you will need to proceed to pay the fees. The University will issue an admission letter as the confirmation.